Normally here on Fine Art, we showcase the fruits of video game artists working on titles that are already out. That's not the case today. Instead, we're getting a look at the art of an upcoming title, and a beautiful one to boot: that of Trine 2, sequel to the wonderful 2009 co-op platformer Trine. These images, some of the rough sketches and some of them large, detailed environment pieces, were done by Frozenbyte's concept artist Juhani Jokinen. 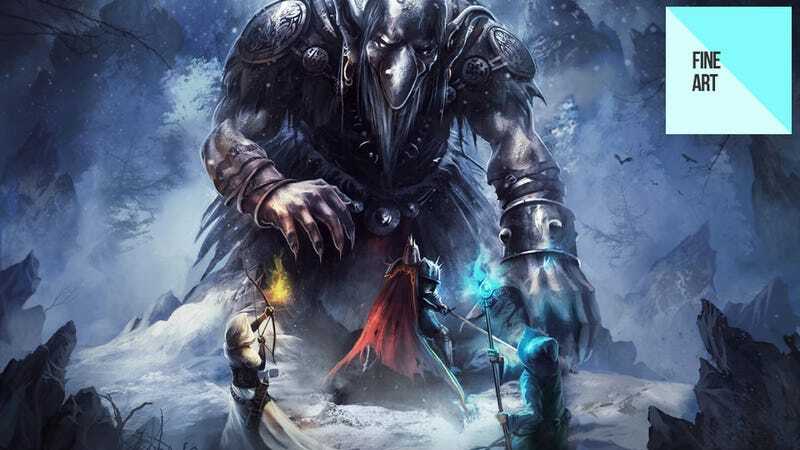 Currently in development at Frozenbyte, Trine 2 is due out next month on PC, Mac, PS3 and 360. You can check out more of Jokinen's work at his personal site, linked below.